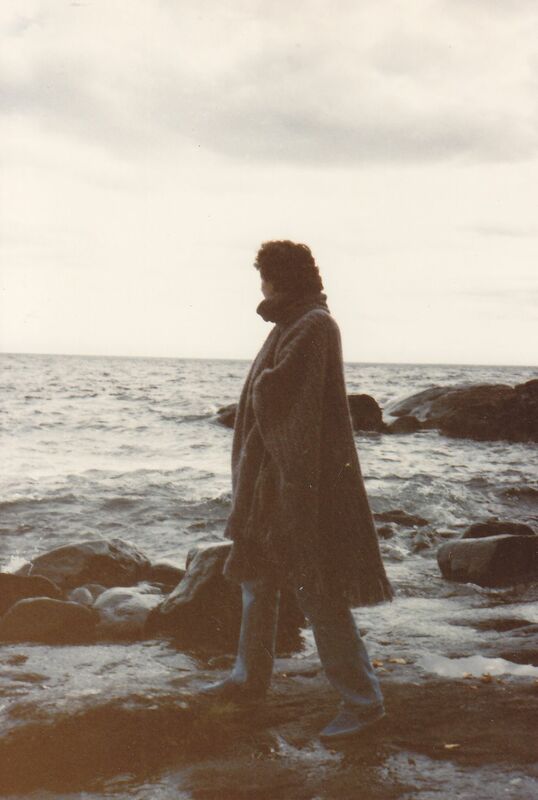 31 YEARS AGO IN LAKE SUPERIOR AREA! 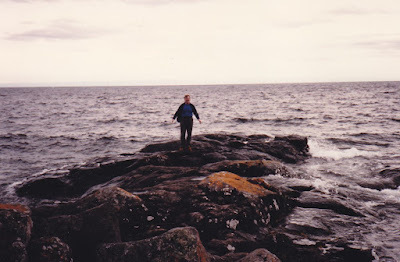 Way back in September 26, 1985, when my husband and I had been visiting in northwestern Minnesota for about 5 days at my long-time friend, Susan Jones' home, Dave indicated that he was going to the eastern portion of Minnesota. 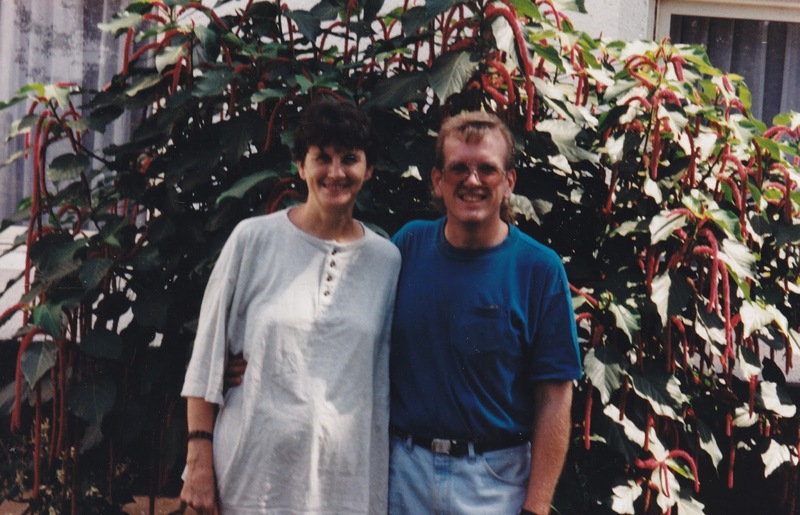 I had no idea what it would be like, and I knew that a day or so later we needed to be at his mom's place in the Twin Cities for a special time with piles and piles of the family situation there. 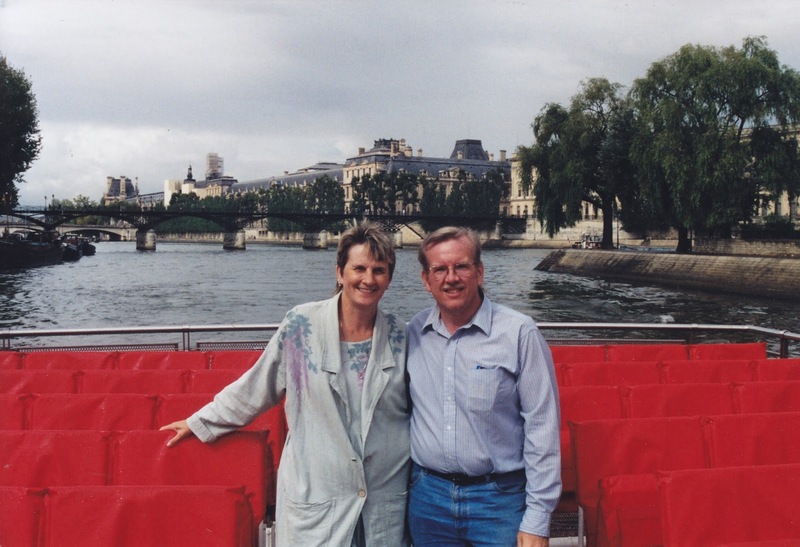 Dave had been born and raised in the Twin Cities area and had been up and around that whole area when he was a kid and in his upper teens. I hadn't known much of that, though. Anyhow, I wasn't sure of anything, but just was with him and that's all that counted for me. WELL, things changed and were absolutely wonderful! 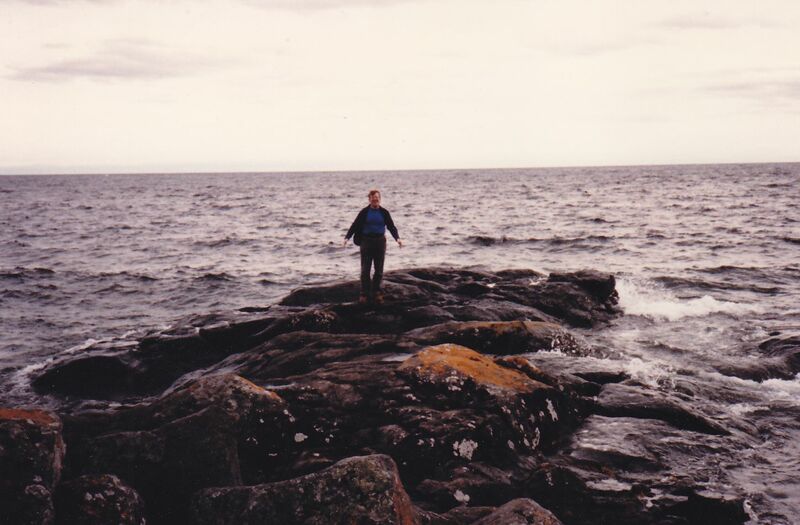 Since I had been a kid and raised for years in the western portion of Washington and seeing a lot of the Mount Rainier, the Pacific Ocean, the Puget Sound, and the Columbia River, and lots of hills and trees, he was taking me to a portion of Minnesota and Canada to make me smile. There wasn't a mountain, BUT the hills were so high and so much on them and the rivers and the huge lake it was so much I'd seen when I was a kid in Washington. Anyhow, he put me in and winked and were in that area on Friday and Saturday, and until late on Saturday we were into the Twin Cities area to his mom's home. Sunday would be a huge gift of people for us. Anyhow, I'll just share the pictures. 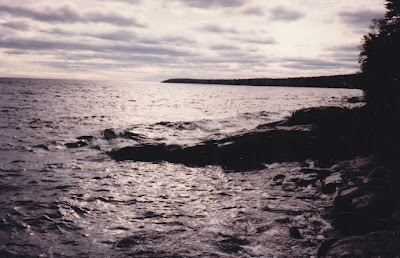 Lake Superior looked like an ocean much of the time and made me smile. And in the area of Thunder Bay, Ontario. So, it grabbed my heart. Worth a smile! 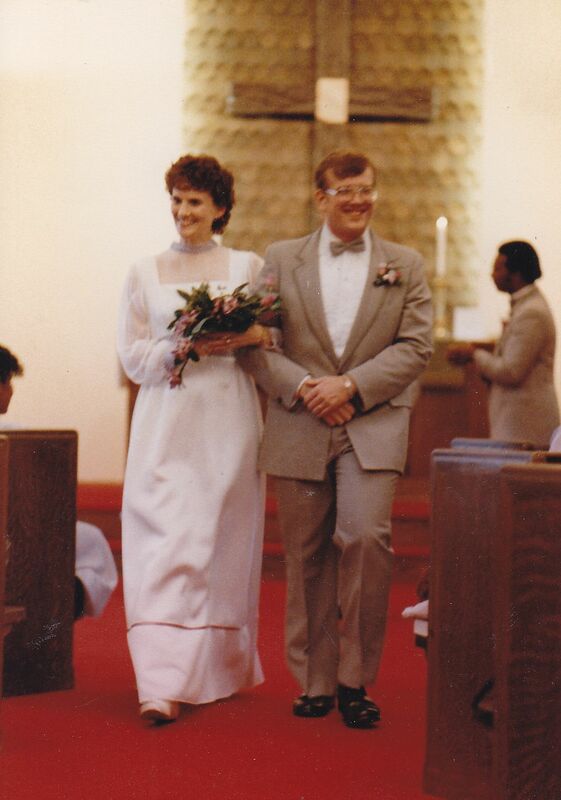 Our wedding was at September 21st on a Saturday afternoon, 1985. A huge blessing for me! Now, our day on this Wednesday it will be September 21st, of course. To share it now is pretty important. I'm a very happy lady!!! My husband is a real treat to-and-for me and to-and-for many other people. In a few years he's working in our church, playing piano or organ at 3 other churches, and teaching piano to some kids or adults, and fixing computers for a lot of people and giving them around and about. In this 31 years things have changed. BUT, as usual, he's a special treat. Uganda and a special photo for us during our 10th anniversary time. And we were there before and after that for a stretch of time. 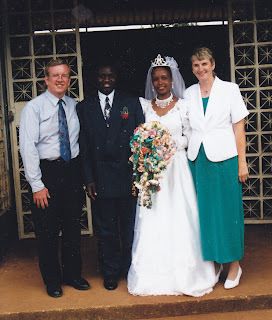 Amazingly, we were in Paris to see some friends after we had left Uganda when visiting our "son's"wedding in Uganda. anniversary in September. 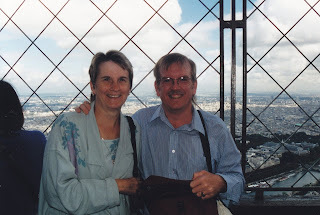 In Paris, up on that special place that afternoon when we were on the Eiffel Tower and Seine River was our 14th anniversary day. What a blessing that was!!! 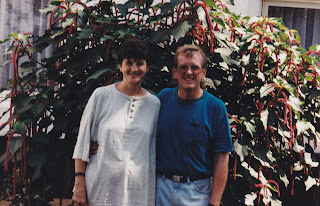 Anyhow, I'll just show the two of us in July this year, b/c we've not had pictures taken. I'll try on Wednesday, BUT he works at two churches all day on Wednesday, and might not get home and the weather is indicating it may be thunderstorm during that day. So, I'll be home and he'll be around. We'll go for lunch or dinner at some point some day. He's a wonderful person!! It's amazing for me, that the Lord dropped it into me July 8, '08. I had thought of being at the murder sites and helping people and praying for them. I've known some of them for a long time. Since a lady at the hospital had checked me on December 12, '15, she had indicated I could could not ever drive again. I'm upset, to say the least. I couldn't go to the First Responders in December as a driver. 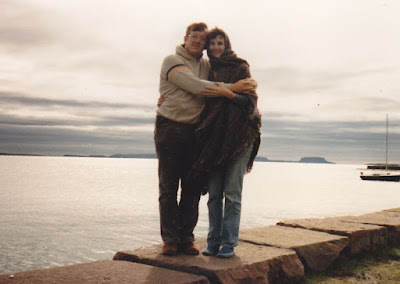 My husband drove me a few times, and in the winter it was filled with snow and ice and lots of coldness. Dave couldn't always do it, b/c he's working at churches and giving piano students around town. The blessing is that a lady where her home is about 5 street areas from here, she indicated she wanted to pick me up. She has done it for about 2 months now. Last Tuesday we had 2 situations. We went to one place first and it was a special place. A 29 year old guy had been shot twice at a party time and when in the hospital, a couple days later he died. The family and friends came to us when standing at the home of his mom. Well, his sister and grandma were within a block of that home. We did a lot of praying and ministering to the family and friends. Eventually, all the men were on one side of the street and all of the women were on the sidewalk by the home. We all were holding and praying to and for them. After that, we went to another portion of this side of town about 2 miles from where we were. No family or friends were there on that alley time, and we did the praying. But, when a few police were there with us, we prayed for them and thanked them. Anyhow, last Friday evening, when my husband was home and free, I told him to drive to that location where the family homes were. It's about a 1-1/2 miles from our home. When we went, I saw a wonderful family piece put right by the street near his mom's home. I'd sure love to meet more of the family! They were wonderful!!! Whenever I can, I'll go!!! Dealing with the murders is very strongly in my heart!! SO, here's the picture. AND another one of me a couple years ago when my husband was with me in summer and it was in a distant portion of our town. He took a picture. I'm smiling to share this to you! Well, He tells me to walk in a few of the local streets. Since December 12th, '15, it was indicated by a Doctor area that I could not drive my car any more, I've been walking near my house. Usually every day I walk for 15 minutes or 45 minutes. Never know what to do and where to go. The Lord tells me to turn left or right, watch homes, see people driving by that portion or kids playing or people working or sitting in their yard. I have 2 canes and when walking I sometimes am a little bit stumbling, especially when the streets have part of it going up a bit or down a bit. Anyhow, this is all I can do. I worship and pray and deal strongly with the sinful demonic issues here that have been here for nearly 1,000 years. The Lord uses me in unusual ways, and I do it! Even when it's too hot or too cold or too rainy or windy and I can't go away strongly, I can be in our yard for a few minutes and worship and pray. Most of the homes in our area were built about 80 to 95 years ago. Our home is 95 years old, for instance. So now I'll shut up, but here's a few pictures of what I see around here.